We begin our pond service requests or design consultations by listening carefully to learn what your priorities and desires are - This initial Design Process is so important! This is your home, and we want the final Landscape Design and/or Water Feature Design to reflect what YOU want in your Lifestyle . Our Design expertise and ideas only help to enhance your ultimate goals. 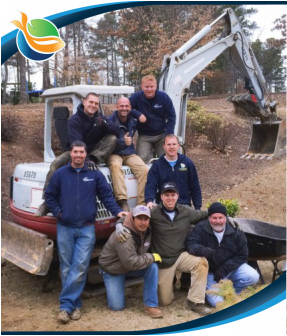 We can assist you with a complete plan for new Pond Construction or a renovation of an existing Landscape or Water Feature . 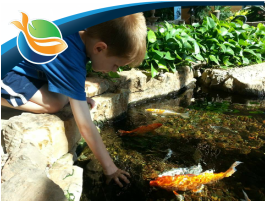 An Ecosystem Backyard KOI Pond is the perfect way to add a water garden into your backyard landscape. 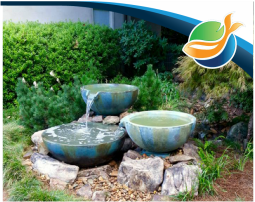 A Pondless® Waterfall or Disappearing waterfall is simply a re-circulating waterfalls and stream without the presence of a deep pond at the end. Fountainscapes are small decorative landscape fountains such as bubbling urns, self contained spillway bowls and bubbling rocks.